Assessment tools, resources, webinar details, and more! What to assess and how to assess are questions educators commonly ask when considering the extent of student learning in an Australian Curriculum: Digital Technologies context. The Australian Curriculum achievement standards provide a focus for educators in the initial planning and programming of teaching and learning activities (ACARA, 2010). The standards offer guidance on the expectations for each year/band, which educators can use at the end of a period of teaching to make judgements about student learning – whether a student has achieved below, at or above the standard. To support these judgements, educators also draw on the assessment data they have collected as evidence during the course of the teaching period. 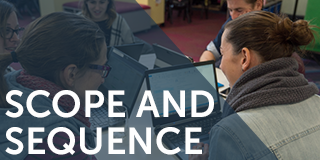 The Digital Technologies Hub team and the Computer Science Research Education (CSER) Group, Adelaide University, have collaborated to assist educators with this process. 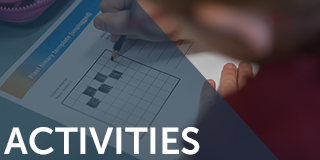 We have developed a range of resources that demonstrate how to use the achievement standards and content descriptors as a guide for breaking down and identifying the skills, behaviours, and knowledge you wish students to demonstrate. The new resources cover the use of checklists, student interviews (think alouds) and rubrics. We hope that you will use the provided examples and advice to modify and create assessment tasks that suit your students' needs and context. 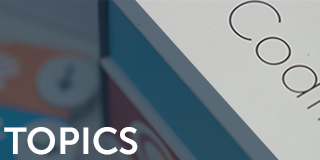 Keep an eye out for new assessment resources on the Digital Technologies Hub. You might also want to view our next webinar: Assessment in the Digital Technologies curriculum (Wednesday 31 October, 4.30 pm – 5.30 pm). Register now! In this assessment task, students collect, explore and sort data about themselves and their classmates, and present the data as a digital artwork. In this assessment task, students maintain a project log as evidence towards their work on creating a digital solution using the BBC: micro:bit. Use this assessment task to explore data collection, analysis and presentation. 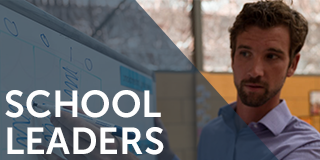 Using the school network as an example, students create a concept map or mind map that demonstrates their knowledge of digital systems, the role of components and how the components are connected. Students explain that a bitmap image of coloured pixels is made up of binary digits that represent each pixel. Using binary digits, the students represent eight colours. Are you looking for ways to explore data in Years F–4? Try this brand new lesson, hot off the press: Schoolyard biodiversity detectives. Integrate Science, Mathematics and Digital Technologies by collecting data on the biodiversity (the different types of plants and animals) in garden beds around your school. Explore ways to represent and present the data. Are your students transitioning from visual programming to a general purpose programming language? Here are a couple of lessons and a webinar that will help you. In this lesson, we demonstrate how to transition students from using a visual based programming language to a text-based programming language, using a heads or tails coin-toss application. Create a simple program using a text-based programming language to generate an output based on two possible input options. This is a simple Boolean (true/false) application where it asks the user’s age – if they are over 15 then they can watch G- and M-rated movies, but if they are under 15, they can only watch G-rated movies. This webinar is useful for educators who have students that are transitioning from visual programming to text-based programming. Jason Vearing from QSITE (Gold Coast Chapter) demonstrates some useful programming skills such as creating variables and arrays, and putting it all into practice with simple games. We are pleased to announce a completely new section of the Digital Technologies Hub website: Inclusive education. The Nationally Consistent Collection of Data on School Students with Disability (NCCD) identifies four broad categories of disability: physical, cognitive, sensory, and social/emotional. An individual student may need adjustments in multiple categories in order to take part in the classroom activities. In our new Inclusive education section, we have provided examples of functional adjustments that can be made for students with a disability, based around these four categories. One approach to making adjustments in lessons is to use the Universal Design for Learning (UDL) Guidelines. See our Universal Design for Learning subsection for implementing the three key UDL principles. Take a look at the lessons there, too, which have been modified to demonstrate how adjustments might be made. Presented by: Martin Richards, Content Manger of the Digital Technologies Hub, and Rebecca Vivian, Research Fellow at Computer Science Research Education (CSER ) Group. In this webinar, Rebecca will walk us through an approach to generating assessment activities using Bloom’s Revised Taxonomy. She will show how to use the achievement standards and content descriptors as a guide to breaking down and identifying the skills, knowledge and behaviours that you would like students to demonstrate. We’ll refer to the use of checklists, student interviews (think alouds) and rubrics. We will also refer to the SOLO Taxonomy as a means of differentiating a task and then using that task as a basis for assessment. Get some ideas for both formative and summative assessment, and also for assessment as learning, where relevant teacher strategies encourage students to engage in the assessment process through reflection on their own learning experience. This webinar explains what is expected of educators who have students with disabilities, in relation to accessing and modifying the Digital Technologies curriculum. Such expectations include adapting the curriculum and lesson plans for students who need specific accommodations, who are working towards foundation level, or both. The recording for this, and all of our previous webinars can be found on our webinars page. Congratulations to the participants and Winners of the 2018 Next Tech Girl Superhero Competition! Leanne Robertson from the Digital Technologies Hub team mentored a group of switched-on girls from Townsville who are the Queensland Secondary State Regional winners with their app Indigenous. Check it out and find out more about becoming a coach or mentor. Have we missed any DT events happening in your area? Let us know at: digitaltechnologieshub@esa.edu.au and we can add them to our calendar.